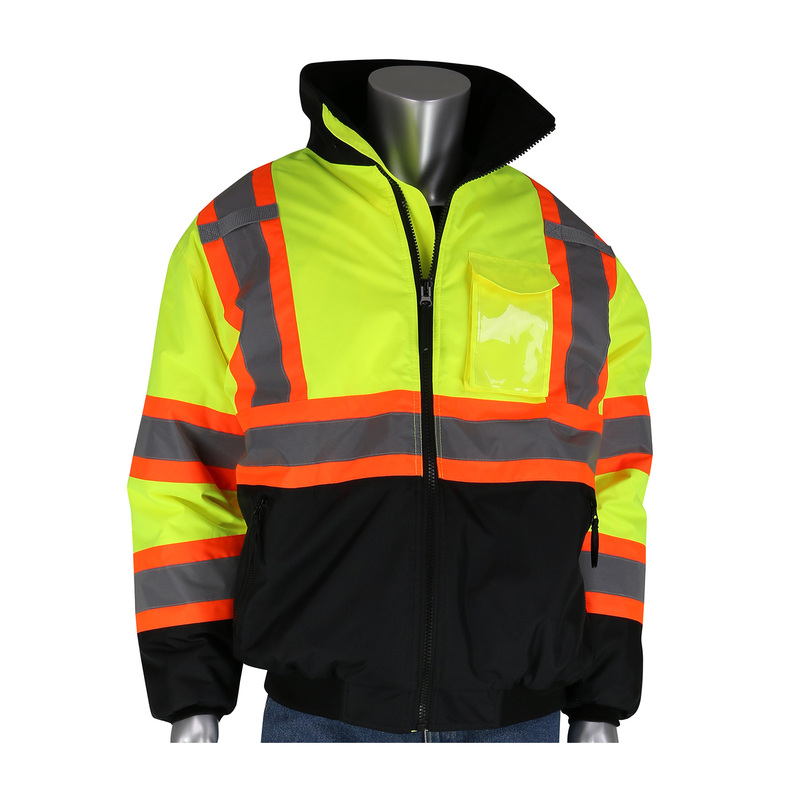 This PIP Bomber Jacket features a durable waterproof 300 D. polyester shell with taped seams, built-in quilted high loft polyfil insulation and 2″ two-tone reflective tape for optimum visibility. 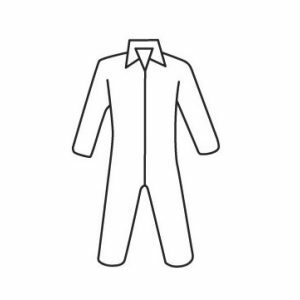 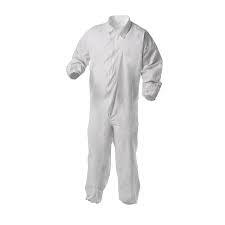 The black bottom, collar and cuffs help hide dirt. 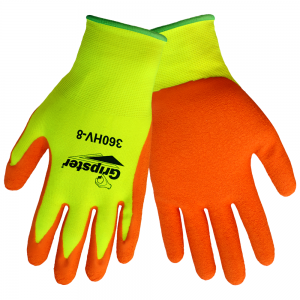 Ideal for roadway construction workers, survey crews, utility workers, railway and metro workers, and emergency response personnel. 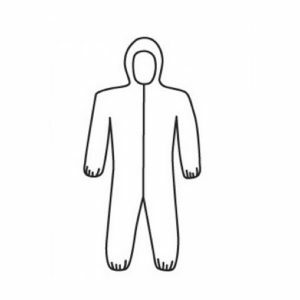 SKU: 333-1745 Categories: Protective Clothing, Winter Gear Tags: ANSI, Coat, cold, Hood, jacket, PIP, proof, reflective, water, wind, Winter Manufacturers: PIP.